Following on from the success of recent home internationals against Brazil and China, the FFA are looking to entice the world's best teams to Australia in the next two years. Speaking with Fairfax Media, Head of Women's Football Emma Highwood confirmed they were in talks to bring the current world champions, the United States, to Australia. "We have been in discussions with the USA so we will continue those discussions and we think that it would be a massive opportunity to get them here," said Highwood. "We have the Matildas playing on home soil so we can continue to build the fan base and stay connected to grassroots which is really important." Australia last played the USA on home soil back in the early 2000s. Since then the two nations have met fairly regularly but never in Australia's backyard. Also on the list of potential opponents on home soil are Olympic gold medallists Germany, England and Olympic bronze medallists Canada. It is part of a concerted push by the FFA to have the Matildas playing as many matches as possible in the lead up to the 2019 FIFA Women's World Cup and 2020 Tokyo Olympics. The front half of the Matildas 2018 schedule is already packed with the Algarve Cup, Asian Cup and Tournament of Nations. In those tournaments alone, Australia is set to play 12 matches, a total that is greater than the 11 matches scheduled in 2017. "We need to have regular home games particularly if we are to build the commercial asset of the Matildas," she continued. "It is great to have a brand but you need the opportunity for partners to connect and activate and they can only do that when the Matildas play at home." Part of that strategy includes an Australian based tournament as Highwood mentioned at the recent Football Federation Victoria Women in Football Forum. "What we have observed over the last week in terms of hosting China here in Victoria is something we need to replicate on an annual basis," said Highwood. "We would really love to have an ongoing partnership with the Victorian Government where we host an annual tournament here in Victoria where we can engage with perhaps the broader Asian teams and communities but make it annual event." "That is something that we are focused on. We would like to talk to different governments about that. We would love Victoria to be the state that actually brings that to life." Again a home tournament has not been a regular part of the Australian schedule. The last such tournament was in the early 2000s with the Australia Cup and the Pacific Cup. Whether it is Victoria or NSW - who have a multi-match agreement with the FFA - or other states who come to the bargaining table, the FFA is looking to capitalise on the Matildas' popularity both on and off the pitch. "From an FFA perspective it's an opportunity for us to take the lead and actually start to think about developing our own kind of Tournament of Nations or own regular tournaments on home soil." 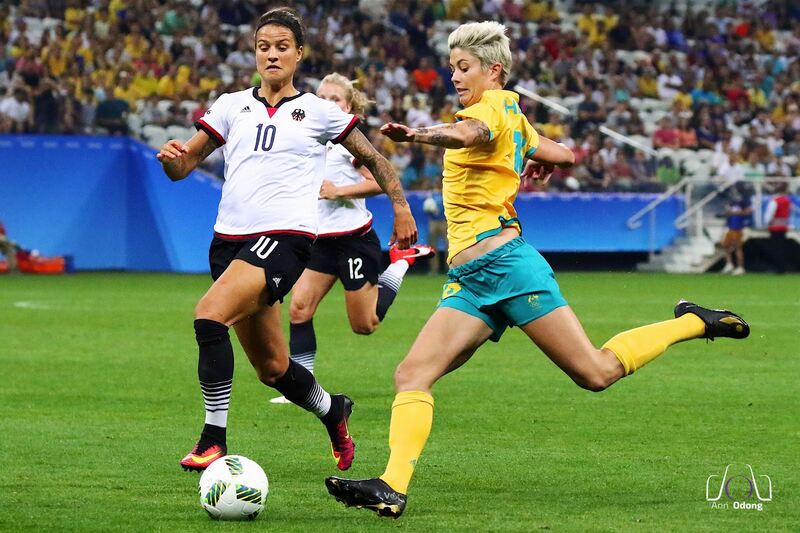 However, with Matildas scheduled until July / August 2018, Australian fans shouldn't expect to see the Matildas on home soil until late in 2018.